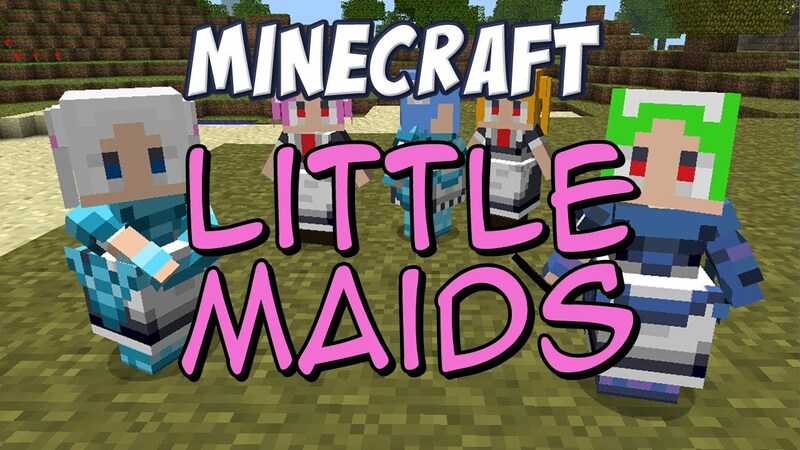 LittleMaidMob Mod 1.12.2/1.7.10 adds a (tameable) mob called the Little Maid, who can do a lot of stuff for you. You can tame the maids in the wild by giving them cake. 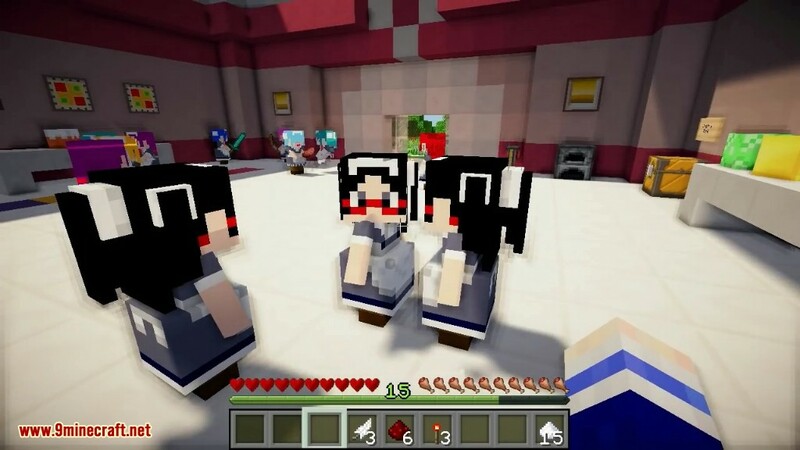 This mod adds a Maid to your game! 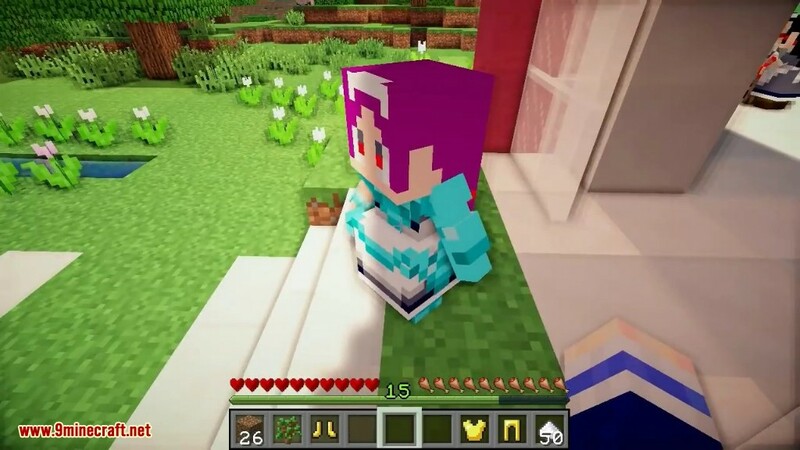 She will do various things for you, like pick up items you drop and store them in a chest or desired location, she will also attack any mobs that want to hurt you. You can tame wild maids like wolves. Hold cake and right click, then they became contracted. The contracted maid is dressed herself with white brim (hair accessory). 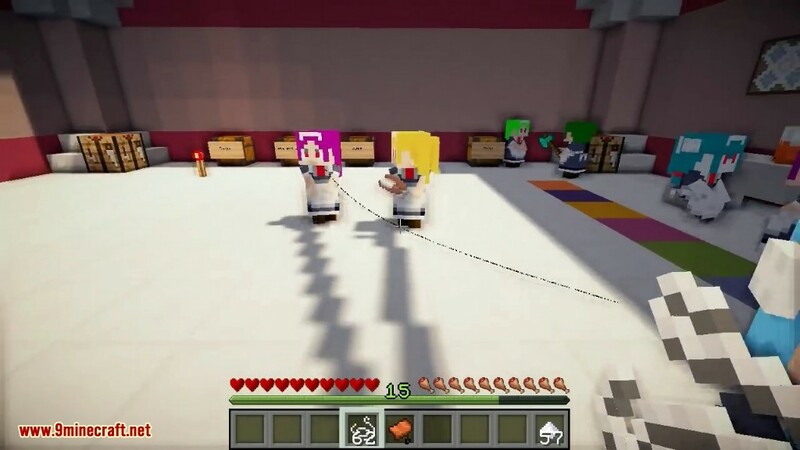 The maid mobs collect dropped items. Drop items has been changed. 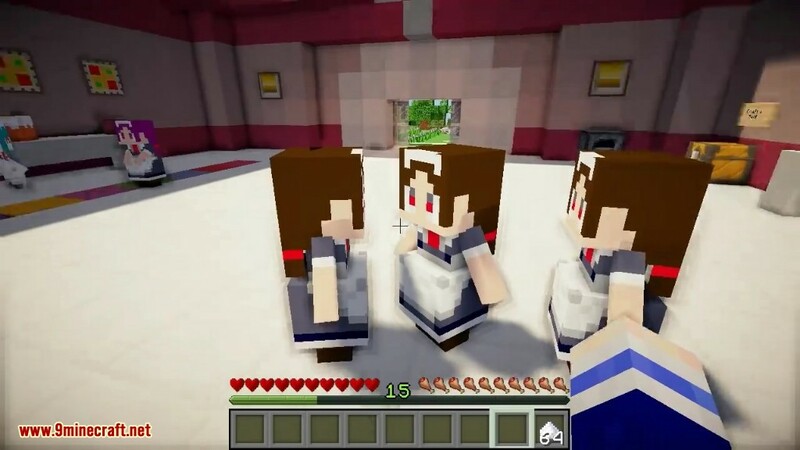 Maid inventory (named “inside skirt”) is open when you right click the contracted maid without special items (sugar, feather or something). When you hold the sugar, maids come across to you and ask you to give it. Each time you give her sugar, her waiting mode and activated mode is switched. When some certain items are placed at the left upper slot of maid inventory, the maid changed into special activated mode (see below). In addition, 0.5 heart recovers per 1 sugar. Contraction period is 7 days in the game, and 1 sugar let you extend another 7 days. 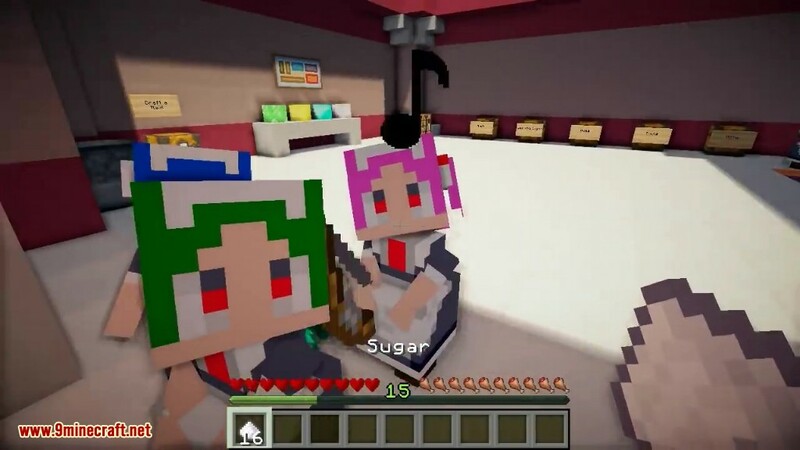 If you place the sugars in the maid inventory, the contraction periods are automatically extended. When you forgot her salary, maid gets into strike, until you give her another cake once more. Maid in strike remains and never despawn. 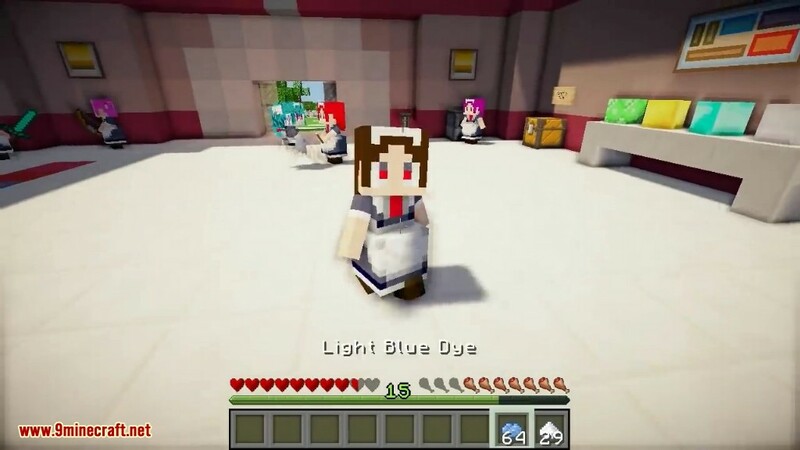 After forming a contract with your maid, you are able to change her hair color and some other features by right-clicking her with dye. 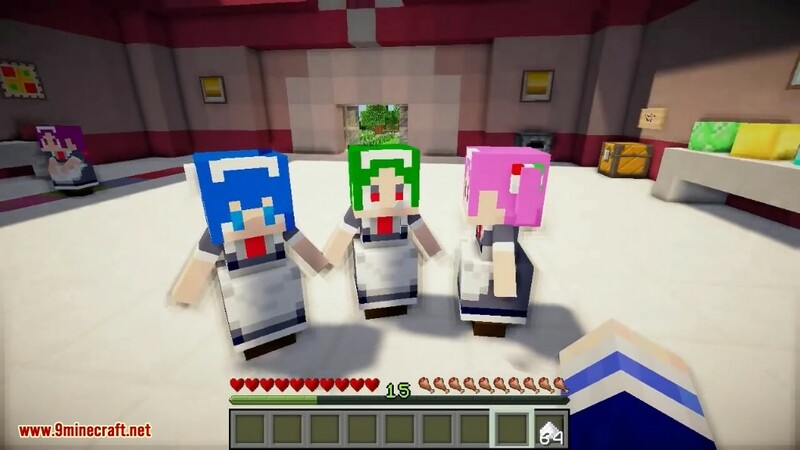 Maid are available in all sixteen minecraft colors! Every newly contracted maid will be in this mode. Escorts will follow you around and pick up any items it detects. 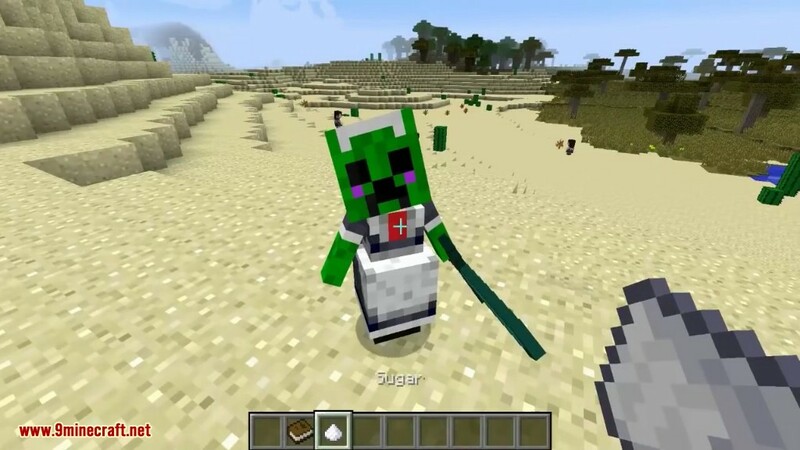 Just place any sword in the first slot of the maid’s inventory and give her some sugar. Fencers will attack any HOSTILE entity near you. Damage taken by the maid is restored by giving her sugar in her inventory. 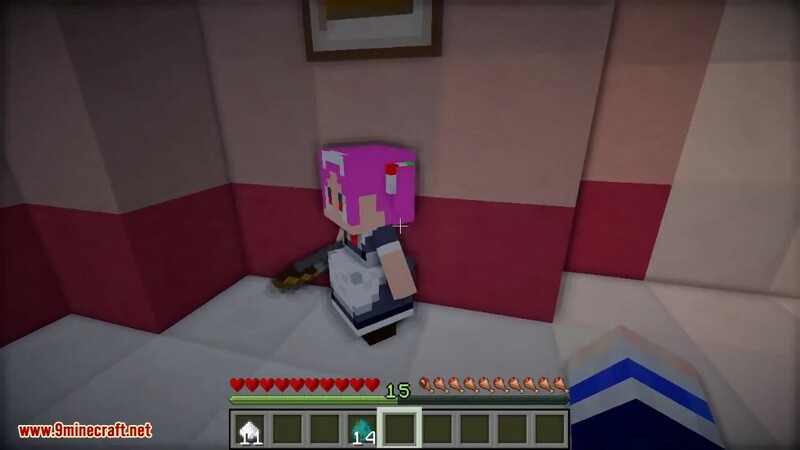 Place a bow on the maid’s inventory first slot and activate archer mode by giving her sugar. Archer’s aim is comparable to that of skeletons in the game. Archers will attack Hostile mobs. Arrows will be consumed when shooting so remember to stock your archer with arrows in her inventory. Axe on first slot. 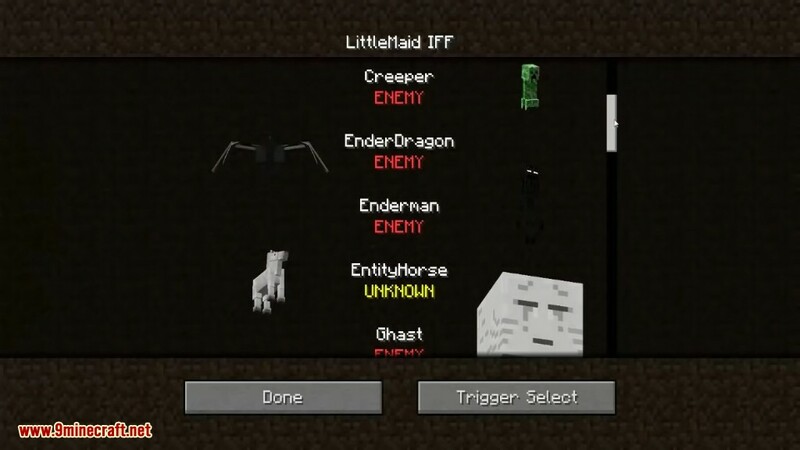 Bloodsuckers will attack any entity deemed neutral (sheep, pig, chicken, cow) or hostile (mobs) To change which entities are neutral/hostile just right-click your little maid with a book (will be consumed on use) and a GUI will pop up to let you change the settings. Shears on first slot, the maid will shear wool of nearby sheep. Only available at night or in dark areas. 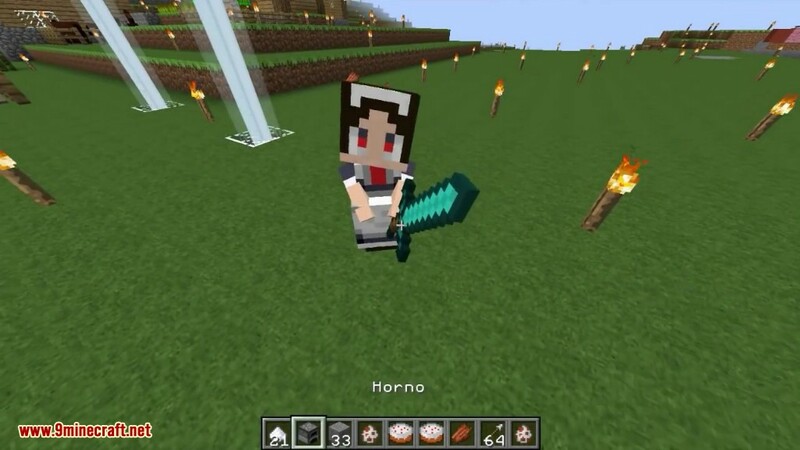 By placing torches on the first slot and activating her, the maid will go into torcher mode and place torches around you, providing some light. Maids can cook! By placing coal/charcoal on the maid’s first slot and giving her sugar, you will be activating cooking mode. 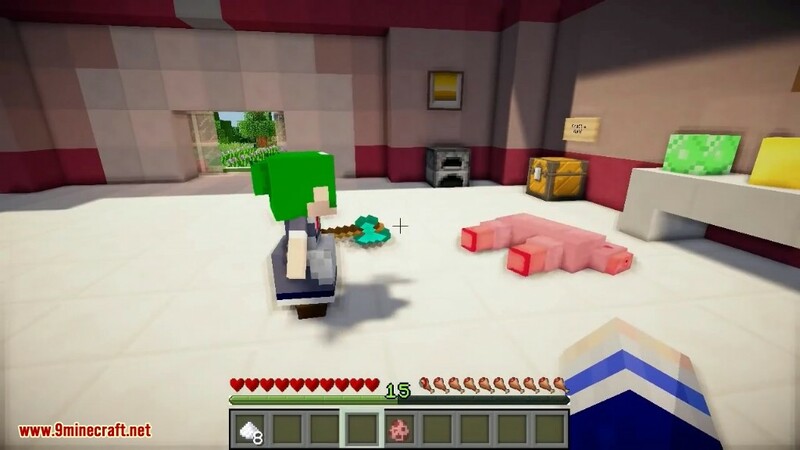 In cooking mode, the maid will cook any raw meats, potatoes, or ore placed in her inventory. She will stay by the furnace until everything gets cooked or smelted. By placing splash potions or cooked food on the maid’s first slot and giving her sugar, Healer mode will be activated. 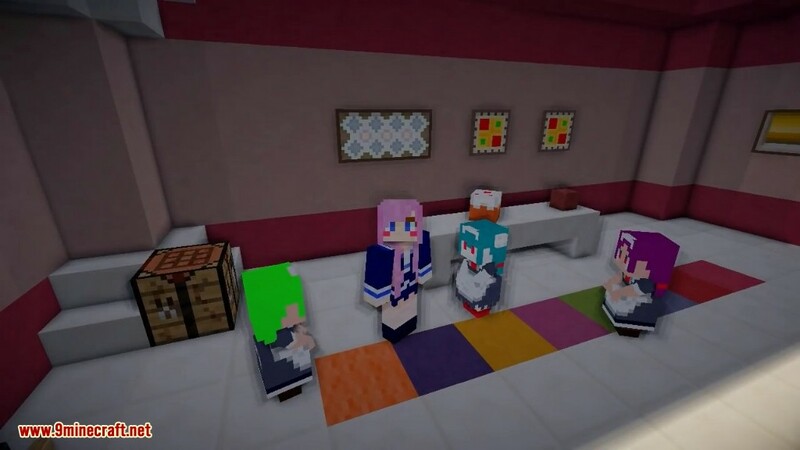 In healer mode, the maid will follow you and heal you/ feed you when your health/hunger is low. 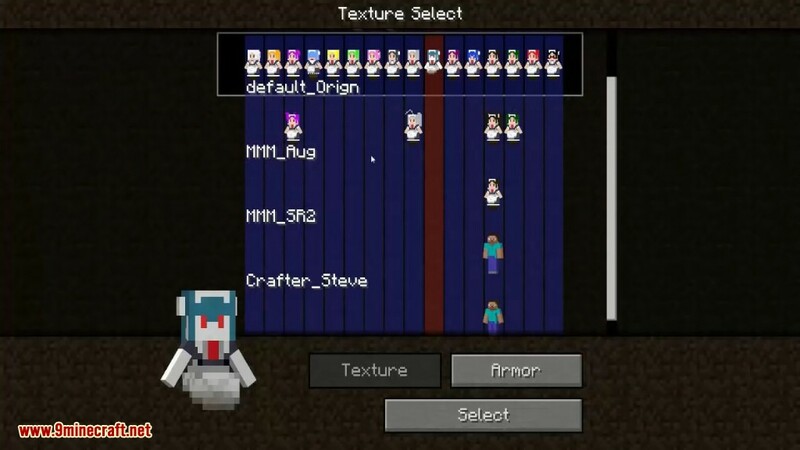 Placing a clock in the maid inventory allows her announce the time inside the game. It is necessary to add certain voices and configure the .cfg files to work this function. Some new parameters are added for voice. *Only available if you downloaded and installed the soundpack. If you want to “force” your maid to follow you somewhere, simply right click her with some string and walk wherever you want, your maid will follow! Make sure you have already installed Minecraft Forge and EBlib.